This week’s blog about the rebirth of Detroit’s iconic train station in Corktown is by our very own, Michelle Woodhouse, State of Place COO and Metro Detroit resident. She had the honor of attending Ford's official public announcement of its purchase of the long-abandoned train station and its 4-year plan to renovate it and the surrounding neighborhood. Today she's bringing us the insider's view of the giant motor company's Smart Mobility strategy. And of course, we're working our datageek magic to quantify the potential impact of this proposed vision. It was a freezing December day, and my husband David, my 4-month-old daughter Ava, and I bundled up for our inaugural drive around the then decaying city. Our first stop was the iconic Michigan Central Station. Driving around the train station, we were shocked to see this once-majestic centerpiece of Corktown - and of Michigan Avenue - boarded-up, vacant, decaying. Turns out it had been left for dead, with the Detroit City Council signing its (premature) death warrant on April 7, 2009 when it voted to demolish the iconic train station. I guess at the time that seemed like the best option given the 20,000 people moving out of the city annually...Nevertheless, we managed to grab a surprisingly delicious bite at the very busy Mercury Burger and Bar - an oasis among the chaos. And I couldn't help but think it was among several new signs of life for the neighborhood - and City. 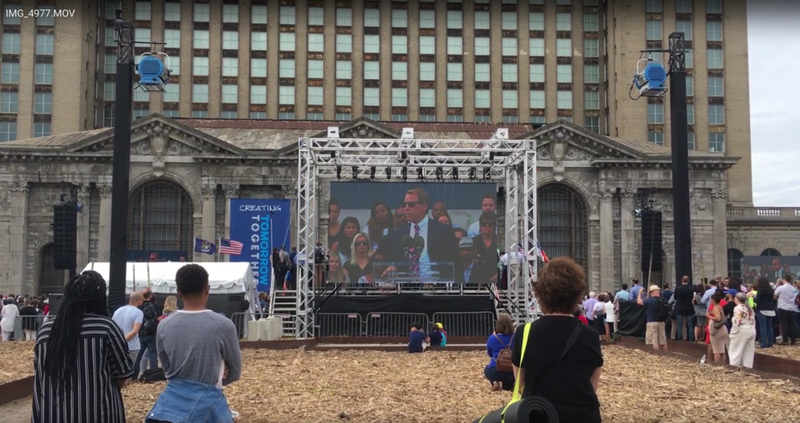 Fast forward to last week, almost a decade after its planned demolition and after three decades of vacancy, Michigan Central Station is poised to become a symbol of hope and rebirth. Luckily, I had the opportunity to personally bear witness to this "comeback," as I accompanied David and his Ford colleagues (yeah, my husband is a Design Director for Ford - and testament that walkability geeks and car enthusiasts can peacefully cohabit!) to Ford's public announcement of its plans for the station. 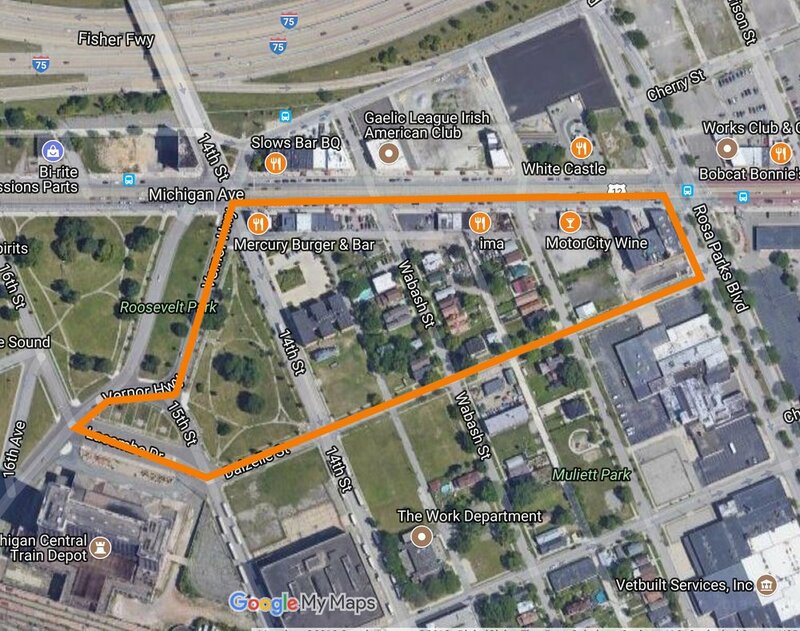 As you all now likely know, Ford isn't just purchasing the station, it plans to redevelop it and revitalize the surrounding Corktown neighborhood to support 5,000 new jobs, serve as an innovation hub for their future of mobility strategy, and attract talent to the city of Detroit. And guess what else - Ford, a major automotive company, also spoke at length about smart cities and wait for it - placemaking! In fact, Ford sees the station as an innovation hub for smart mobility and they're actively inviting disruptive, design-thinking startups at the forefront of the smart cities movement (like us here at State of Place - we are so there!) to join them on their campus. No need to twist our arm! At the forefront of automotive companies moving into the mobility space, Ford's Executive Chairman, Bill Ford enthusiastically proclaimed they are now in the business of “reimagining the city” with a focus on things like smart roads, smart parking, smart public transit, and the mechanisms for all of them to communicate. Jim Hackett (Ford CEO), touting that the Information Age is even more disruptive than the Industrial Age, explained their vision is to direct the power of emerging technologies toward creating new mobility solutions. Most notably, Mr. Hackett announced that they aim to “give the crowded streets back to the people!” That's quite the statement for a "car company!" We know this transformation (both physical and corporate) isn’t going to happen overnight, but since the State of Place software was specifically designed to capitalize on data (i.e., tech) to help make places better (or bring them back to life, if you will) we thought it was critical for us to get involved now (ahem, Ford! :)). After all, I’ve been waiting for over four years to make an impact in Detroit! So, as we are known to do, we dove into the data as we believe the first step necessary toward achieving any walkability vision - especially one as ambitious and potentially revolutionary as this one - is to figure out where you're starting from (quantitatively, of course!). So we collected data (on over 290 urban design features - like sidewalks, street trees, existing land uses) for ten street blocks around the train station where Ford proposes to make improvements and then ran it through our handy predictive analytics software to generate the State of Place Index and Profile for each street and the overall project area (think crazy robust existing conditions analysis or as one of our customers puts it, Walk Score on steroids! ;)). We also couldn't resist running it through our super fun Sim-City-esq scenario analysis feature to quantify Ford's plan's impact on quality of place (citymakers - listen up, you can now play Sim City in real life, get paid for it, and use it to get buy-in for your awesome plans!) . So there's no question that Ford has got its work cut out for them in Corktown. While the neighborhood has benefited from some recent revitalization efforts, it still faces major challenges - urban design and otherwise. And the numbers don't lie, with an overall index of 26.7 for the ten blocks, it scores in our next to lowest level of walkability and quality of place - a verifiable underdog indeed. In particular, the neighborhood is in need of some TLC in the areas of pedestrian & bicycle amenities, traffic safety features, and density & proximity of uses. Tomorrow, do we really love you? So the question is, does Ford's plan, directed by world-renowned design firm, Snohetta (it is too funny this is an Oslo based firm - let's talk!) bring back Corktown's vitals? We evaluated Ford's video of its plan for the Station and various design documents available publicly and made changes accordingly to its existing conditions to see how it would it would increase its current State of Place Index and Profile, and how great its tomorrow will really be...See below for the results! Sim City in Real Life? Oh yeah! So as best we can tell, Ford's got quite a bit in store for both Michigan Central Station and the Corktown neighborhood. It's plans for mixed-use redevelopment, pedestrian and bike amenities, public spaces, new retail and restaurants, and more, garner it an additional 26.5 points on average on the State of Place Index - that's a pretty dramatic improvement overall! Even streets that weren't directly connected to any of the newly-purchased Ford buildings to be redeveloped experienced a bump due to proposed features such as improved traffic safety and pedestrian & bike amenities. Play the video above to see how we did this in our software and then check out how the individual blocks score before and after below (click on the little arrow to toggle between "today" and "tomorrow")! Perhaps unsurprisingly, the block that houses Michigan Central Station - Lacombe Dr (between Vernon Hwy & Dalzelle St) itself - saw the biggest boost due to Ford's revitalization plans, going from 26.2 to 71.0 on the State of Place Index, for an overall increase of 44.8 points! Overall, we are pretty impressed with this first take at Ford's - and Snohetta's -redevelopment plan. But, as you can see, there is still plenty of room for improvement overall and across the ten urban design dimensions that make up the Index (including thinking about actually re-enstating transit to the mix - see our resident tram-lover and CTO, Andy's previous blog for more on that). And this is one of two key areas in which State of Place really shines: 1) We can actually show you what types of changes to make to optimize not just the State of Place Index, but the specific redevelopment outcomes that most matter to you - whether they be seeing a bump in retail revenues or just getting more people on their feet, period! And then 2) We can literally calculate the ROI tied to the projected increase in the State of Place Index, as calculated by our nifty SimCity-esq scenario analysis you guys saw above (so you can get the buy-in you need, because we may not all have Ford's clout!). Don't believe us? 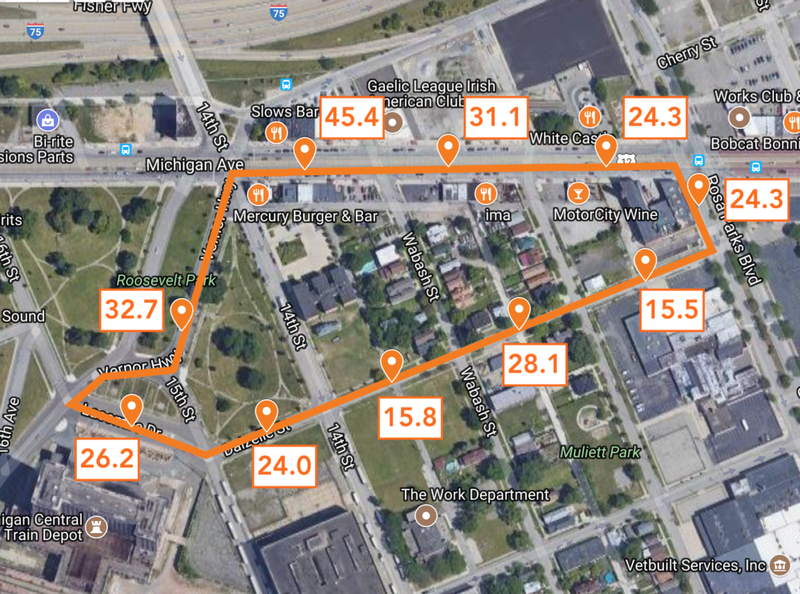 Take our software for a test run and dive into the data we collected for the Michigan Central Station! Or if you have questions first or want your very own self-guided tour, schedule a demo with us! Check Out the State of Place Software Yourself! Newer Post5 Walkable Places to Celebrate July 4th - That Are Not Totally Obvi!